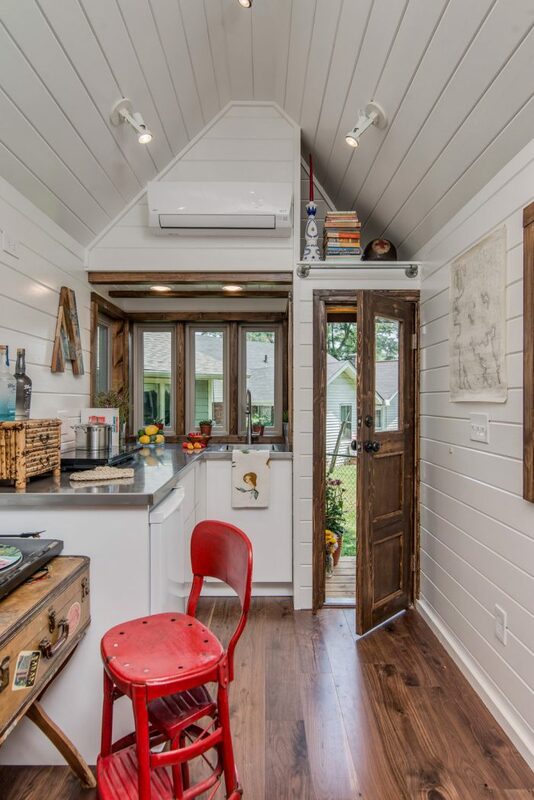 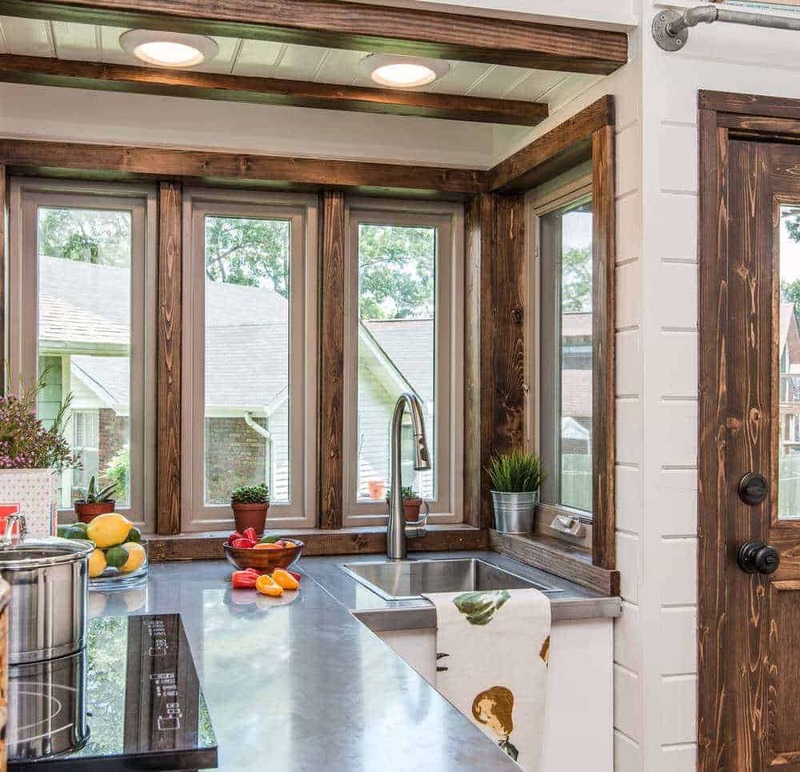 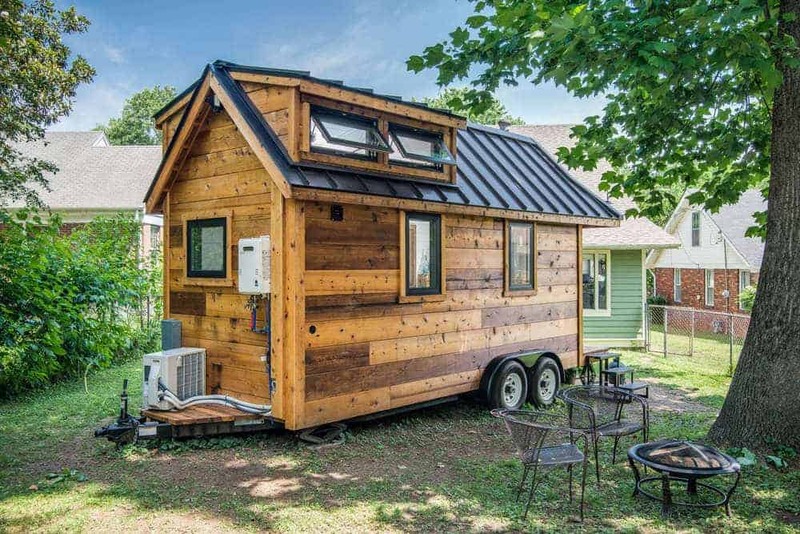 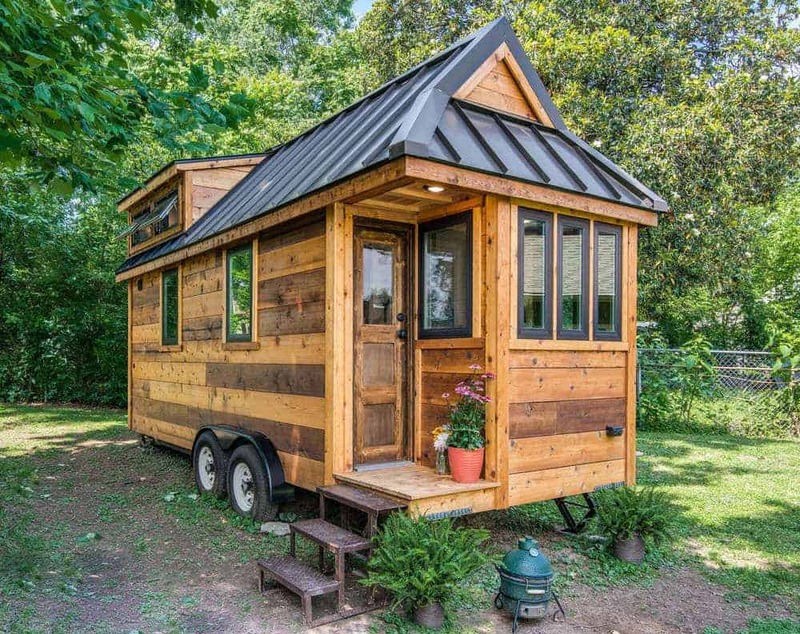 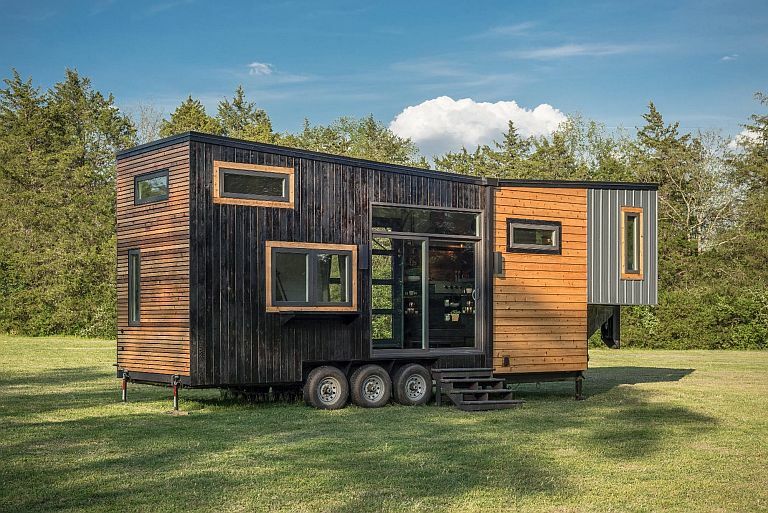 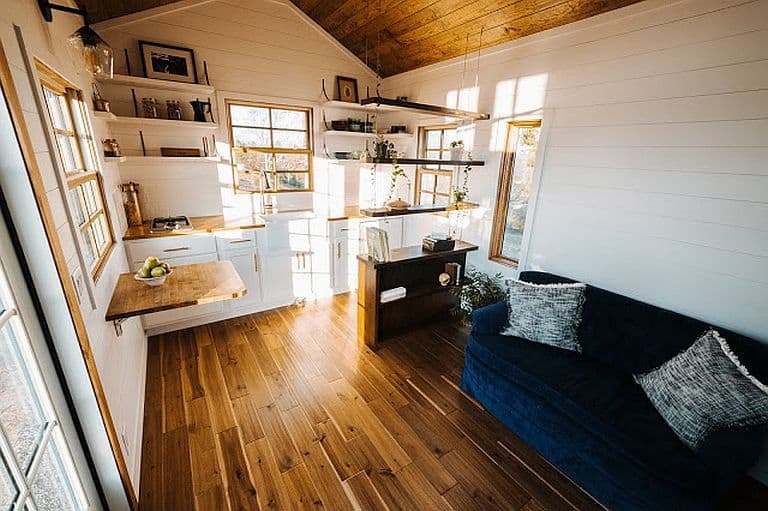 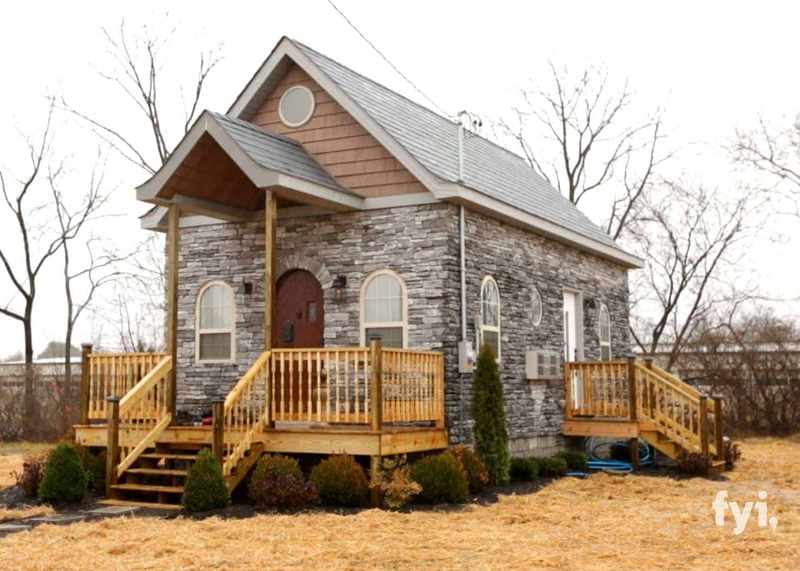 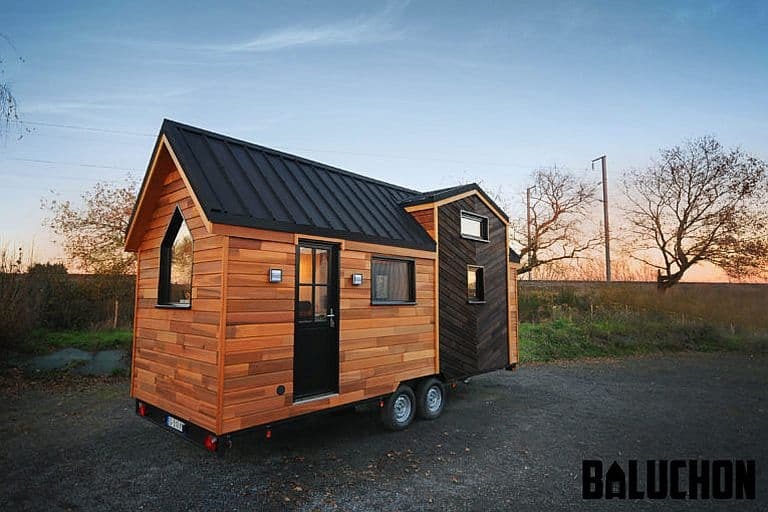 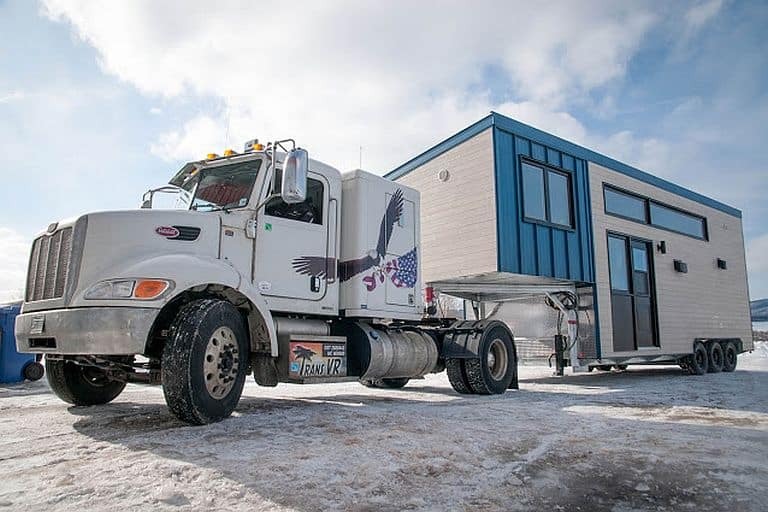 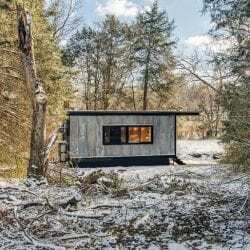 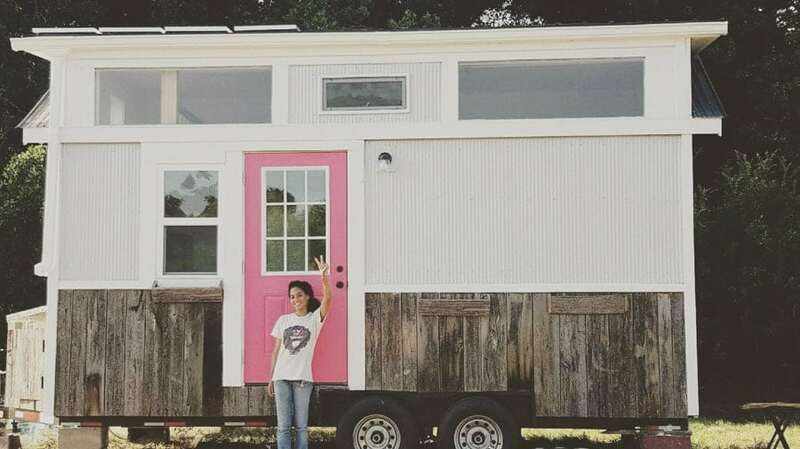 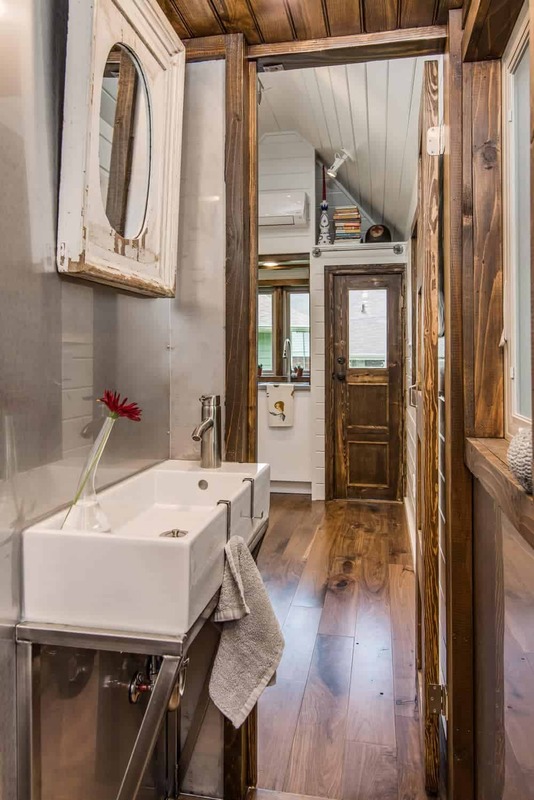 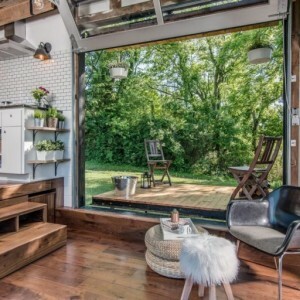 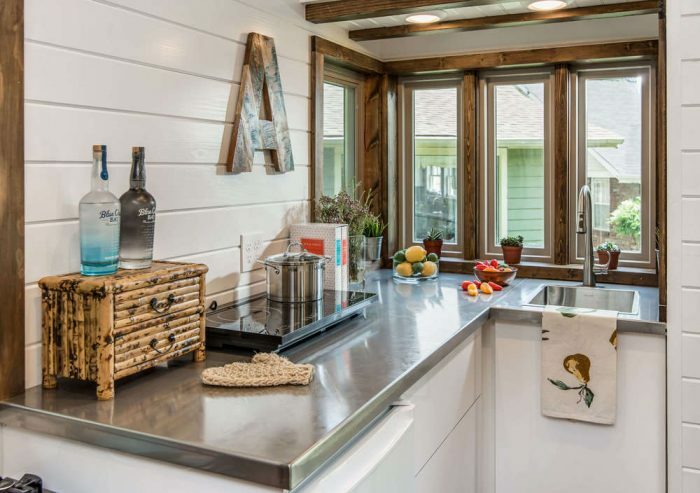 New Frontier Tiny Homes, the Nashville company that built last year’s much talked about Alpha, also makes a more conventional model called the Cedar Mountain. 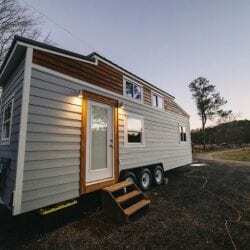 It’s an ambitiously functional smaller THOW, meaning that it comes with a few compromises, but it looks like you could do a lot with it if you’re willing to make those compromises. 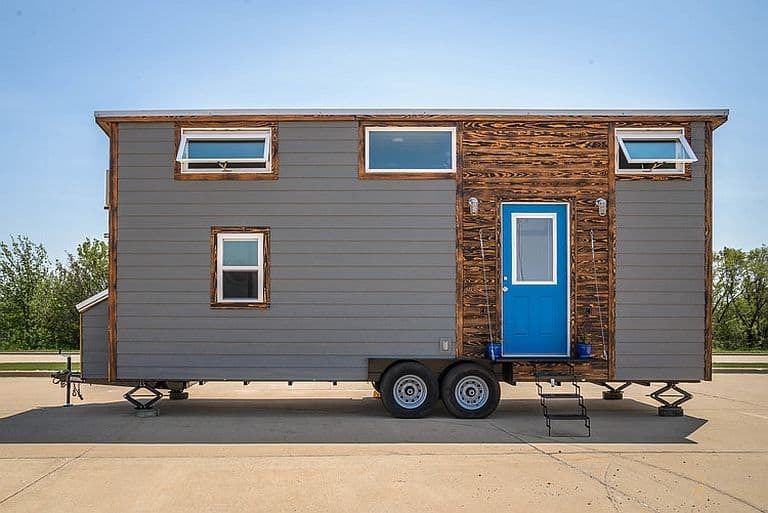 Nothing unusual on the outside, but it’s nicely done. 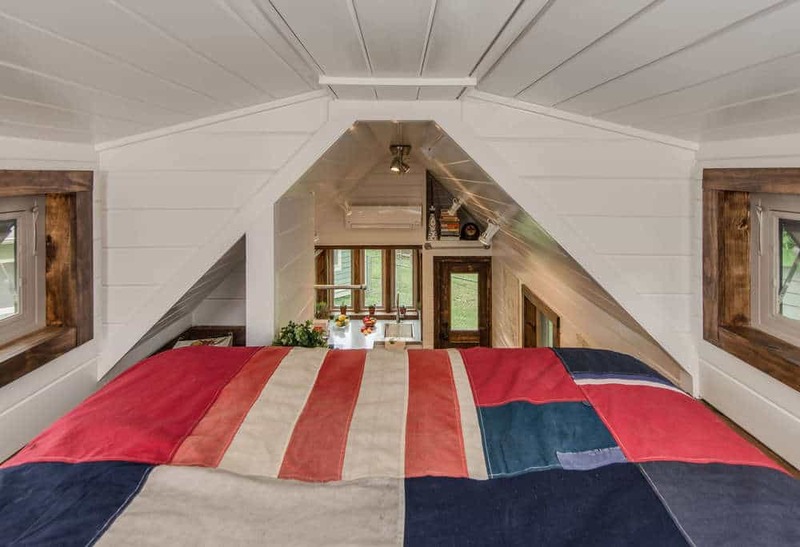 Inside, you can see two separate rooms in the front – four, if you count the loft and the sizable closet! 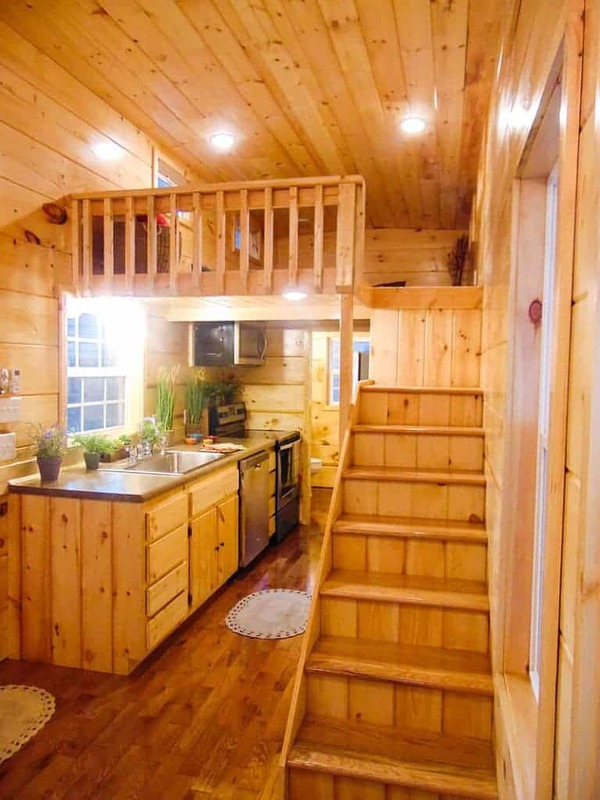 The rear of the Cedar Mountain is completely devoted to the kitchen and built-in dining table, giving plenty of room for cooking and eating. 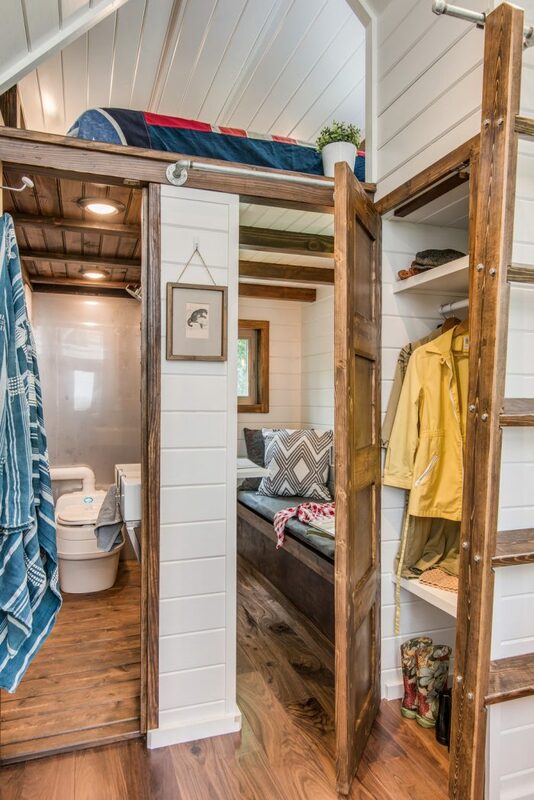 A closer view of the front shows that there’s a lot here – but nothing except the closet is very roomy. 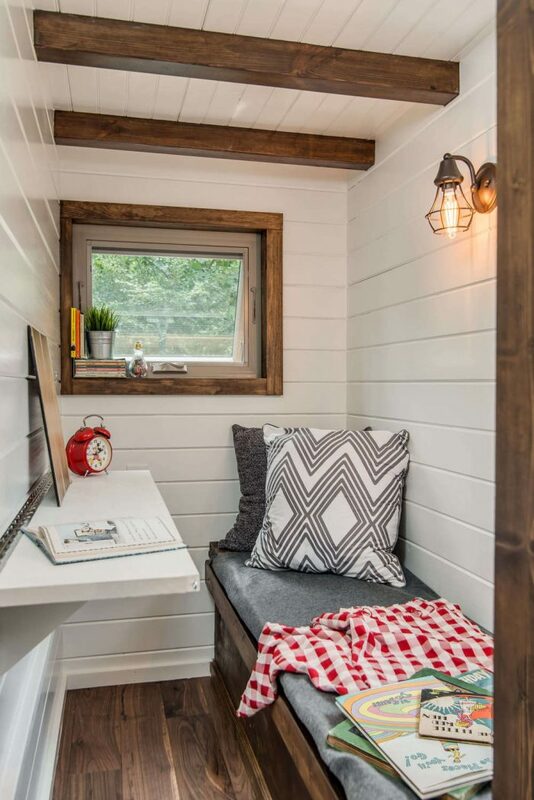 It’s awfully small for a living room, and if you’re working from home you’d probably appreciate a proper office chair. 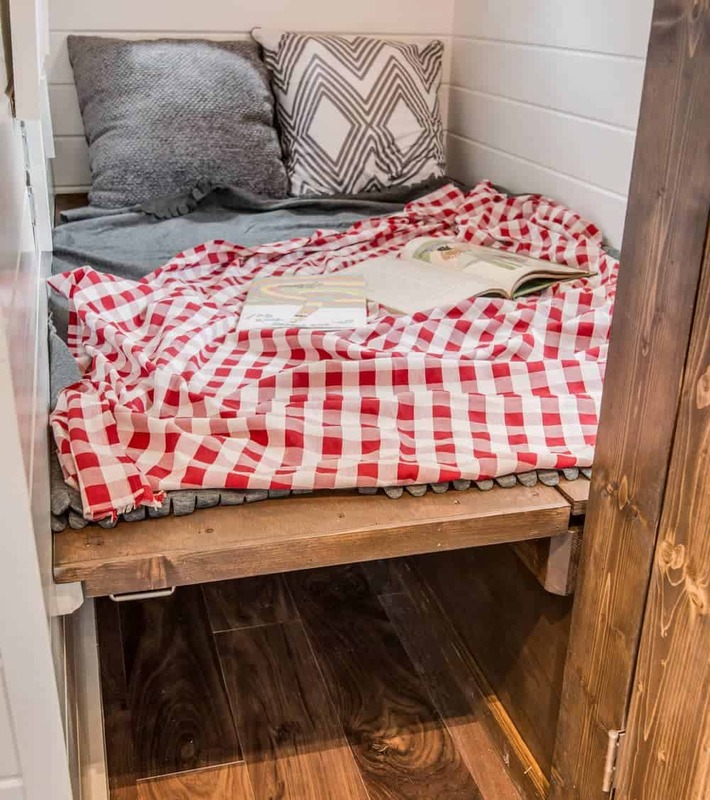 The reason you can’t have one: this is also a second bedroom. Compromise, remember? 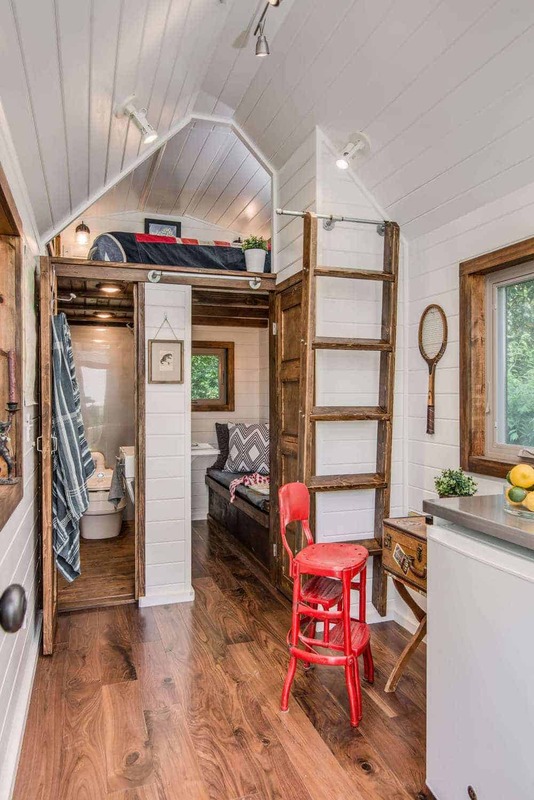 And another compromise in the bathroom, where you don’t get a separate shower area. 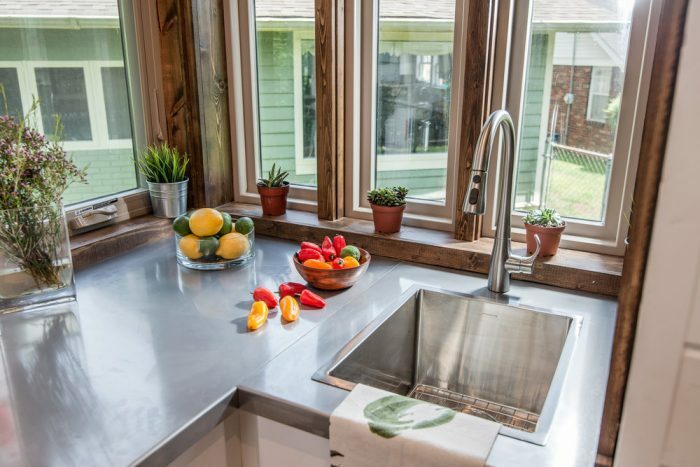 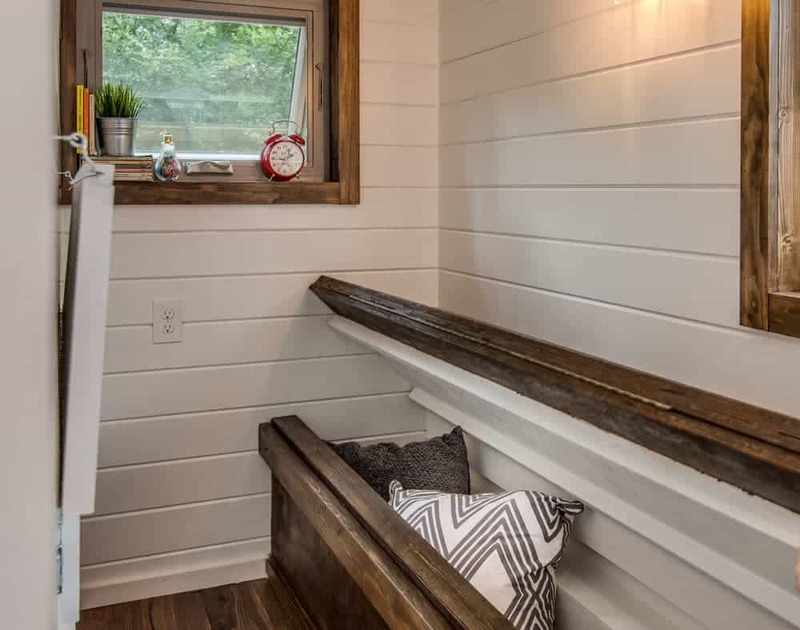 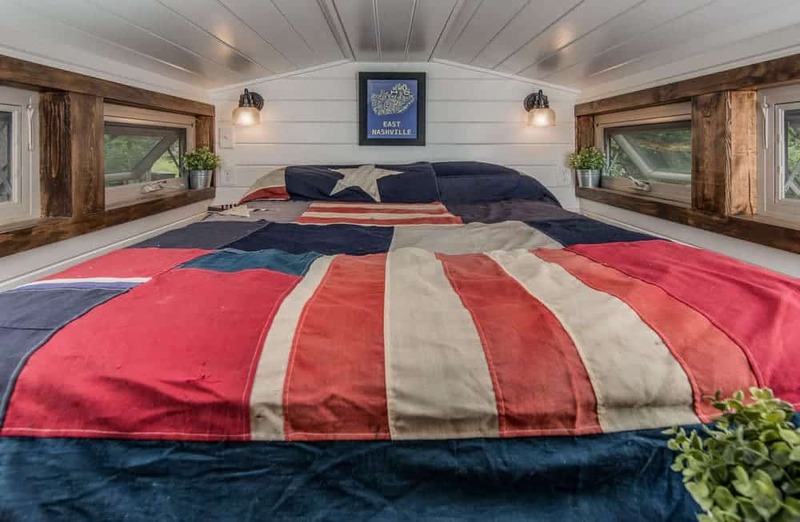 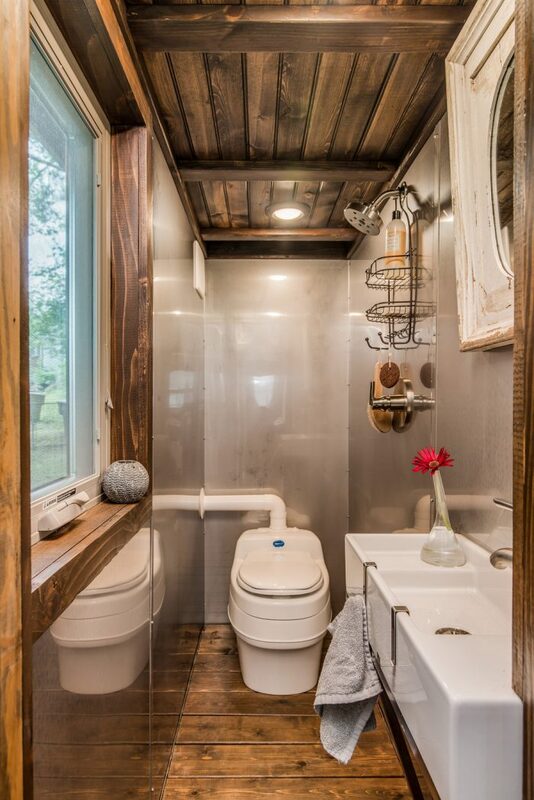 It does have a nice sink, though, something a lot of super-tiny homes do without. 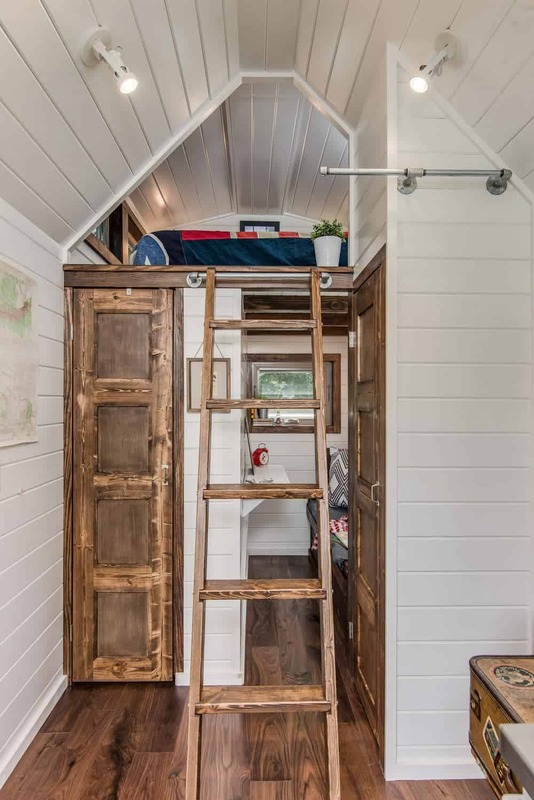 Take the ladder to the loft and you reach a comfortable sleeping nook.